Militants wage 66 attacks at the position of Ukrainian army. 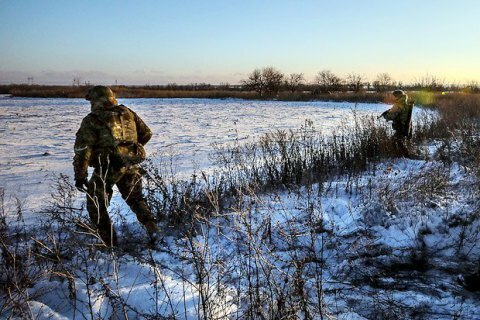 Over the past day, militants waged 66 attacks at the positions of the Ukrainian military along the frontline in the zone of the antiterrorist operation in Donbas. As a result, three soldiers were killed and 10 were wounded, the ATO press center said in a release 17 February. In the Donetsk sector, Avdiyivka, Kamyanka, Pisky, Zaitseve and Verhnyotoretske were shelled with mortars of various calibres. The militants fired rocket-propelled grenades and small arms at Kamyanka, ZaitsevE, Avdiyivka AND Pisky. Zaytsevo was under enemy sniper fire. The ATO positions near Avdiyivka were shelled by an enemy tank. In the Luhansk sector, militants shelled Krymske with 120- and 82-mm mortars and fired rocket-propelled grenades and small arms at Lobachove, Novozvanivka, Novooleksandrivka and Stanytsya Luhanska. In the Mariupol sector, the enemy used 120- and 82-mm mortars to shell Shyrokyne and Pavlopil and fired rocket-propelled grenades and small arms at Maryinka, Novotroyitske, Novoselivka, Vodyane, Lebedynske, Shyrokyne, Pavlopil and Hnutove. Shyrokyne came under the fire of enemy infantry fighting vehicles. Anti-missile systems shelled Bohdanivka. In the evening of 16 February, militant artillery shelled a residential sector of Avdiyivka, killing one civilian. On 15 February, the Trilateral Contact Group for Donbas settlement in Minsk agreed on the pullout of heavy weapons in Donbas before 20 February.